This two-day International Conference brings together scholars and graduates researching the intersections of cultural studies, imagology and translations, with a focus on cultural images constructions, various ways of approaching the concept of ethnicity and translation practices in a friendly and welcoming atmosphere of “Dimitrie Cantemir” Christian University in Bucharest. In the context of globalization, the issue of cultural identity has aroused increasing attention. Cultural Translation, as means of cultural (de)construction supports the cultural differences and enriches both cultural identities. 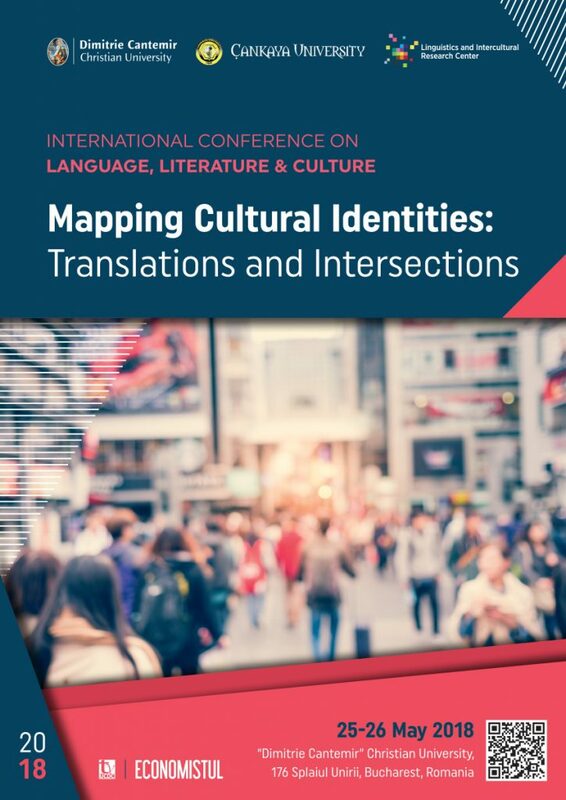 We encourage the cultural identity approach to translation, in expectation of treating ethnic cultural identity construction from a wider perspective, measuring the literary reception, investigating different layers of cultural identities and revealing both self-images and the images of the Other. International Conference on Language, Literature, and Culture intends to blur the limits of conventional discourses and approaches, and features densely theoretical and analytical writing that focuses on the aspects of English language and literature in any or all possible contexts, employing interdisciplinary approach to address / approach the research problems with methods of and insights borrowed from multiple disciplines. The aim of the conference is to bring together researchers, scholars and students from all areas of language, literature, culture and other related disciplines. You may participate as panel organizer, presenter of one paper, chair a session, or observer. All submissions to the conference will be reviewed by at least two independent peers for technical merit and content. A 200-word abstract and 5 keywords for a 20-minute paper should be submitted as an email attachment to LLC2018conference@gmail.com. In your email, please include your name, affiliation, email address, phone number, title of the paper, abstract, 5 keywords and a brief bio data. All participants are requested to submit a proposal by April 20, 2018. The papers presented at the conference will be published in a volume. Roger NICHOLS, Emeritus Professor of History at the University of Arizona, U.S.A.
Raúl IANES, Professor at the Department of Spanish & Portuguese, College of Arts & Science, Miami University, U.S.A.
Smadar LAVIE, Ethnic Studies Department at U. C. Berkeley, U.S.A.